1. The speed of the white steel knife cannot be too fast. 2. The copper work is thicker and less white steel knife, and more use of flying knife or alloy knife. 3. When the workpiece is too high, it should be layered with different lengths of knife to open. 4. After roughing with a large knife, apply a small knife to remove the remaining material to ensure that the remaining amount is the same. 5. Plane application of flat-bottom knives, less ball knives to reduce processing time. 6. When the copper is clearing the angle, first check the R size on the corner and then determine how big the ball knife is. 7. The four corners of the school plane should be flat. 8. Where the slope is an integer, apply a pitch knife, such as a pipe position. 9. Before doing each process, think about the remaining amount after the previous process is processed to avoid empty knives or excessive machining. 10. Try to take a simple path, such as shape, groove, single side, less walking and so on. 11. When going to WCUT, if you can take FINISH, don’t take ROUGH. 12. When the shape is light, first coarse light, then fine light, when the workpiece is too high, first light edge, then light bottom. 13. Set tolerances reasonably to balance machining accuracy and computer calculation time. When roughing, the tolerance is set to 1/5 of the margin, and when the knife is used, the tolerance is set to 0.01. 14. Do a little more work and reduce the emptying time. Do a little more thinking and reduce the chance of error. Do a little more auxiliary line auxiliary surface to improve processing conditions. 15. Establish a sense of responsibility and carefully examine each parameter to avoid rework. 16. Diligent in learning, good at thinking, and continuous improvement. Milling non-planar, multi-purpose ball knives, less end knives, don’t be afraid to connect knives; small knives clear angle, big knife refinement; don’t be afraid to make up the surface, appropriate complement surface can improve processing speed and beautify the processing effect. Good for up-cut milling Low hardness of blank material: better for down-cutting. Good machine precision, rigidity, finishing: more suitable for down-cut milling, and vice versa. It is recommended to use down-cut milling for finishing in the inner corner of the part. Roughing: better up-cut milling, finishing: better tooling, good toughness and low hardness: more suitable for rough machining (large cutting amount). Tool material has poor toughness and high hardness: more suitable for finishing (small cutting amount processing) ). Before writing the knife path, after the stereo picture is finished, the center of the figure should be moved to the origin of the coordinate, and the highest point can be moved to Z=0 to process, and the copper common spark position can process the negative reserve. Before processing, check whether the clamping direction of the workpiece is the same as the direction of the graphic in the computer. Whether the positioning in the mold is correct, whether the fixture interferes with the processing, and whether the direction of the front and rear molds match. Also check that the tools you are using are complete, the benchmarks in the calibration table, and so on. Matters needing attention in processing copper: The determination of the spark position, the general young (ie, Jinggong) reserve is 0.05~0.15, the coarse public is 0.2~0.5, the specific spark position can be determined by the mold master. There is no dead corner in the copper public, and it is necessary to dismantle one more. The machining path of the processing copper is generally: large knife (flat knife) open thick – small knife (flat knife) clear angle Optical knife with ball cutter light surface. Open the general teacher with a flat knife without a ball knife, use a knife to open the thick knife, then the shape of the light to the number, then use the large ball knife light surface, and then use the small ball knife light surface to save trouble, for some small corners The use of a knife to process the big knife can not pass the dead angle can limit the range of the knife’s knife, so as not to broadcast too many empty knives. Tonggong, especially the young male, is relatively high in precision. The tolerance is generally selected from 0.005 to 0.02 and the step is 0.05 to 0.3. When the copper is open, it is necessary to keep the position of the ball in the knife position, that is, to open the copper profile to a thick knife radius. Tonggong also needs to be processed in the middle position, the calibration standard, and the copper work should be corrected during the spark discharge. The copper work processed by the three sides (up, down, left, and right) must have three reference faces. Copper material is a material that is easy to process. The speed of the cutter can be faster. When the thickness is rough, the machining allowance is 0.2~0.5, depending on the size of the workpiece. The machining allowance is large. ,Improve efficiency. Note: The brackets are the parameters of the high-speed steel knife when the steel material is thickened. The above-mentioned cutting speed refers to the light shape F=300~500, and the steel material light knife F is 50~200. Firstly, the copper figure is rotated 180o in the front view or the side view to become the front pattern. Of course, the pillow position and the PL surface are added. Where the original body is to be left in the mold, do not use the mirror method to copper. The drawing becomes a front pattern, sometimes it is wrong (when the copper figure is asymmetrical in the X direction and the Y direction). There are two difficulties in the processing of the front mold: the material is relatively hard; the front mold cannot be easily welded, and it is wrong. When the front die is rough, the principle of using the knife is similar to that of the copper work. The big knife is rough → the small knife is thick → the big knife light knife → the small knife light knife, but the front mold should use the big knife as much as possible, not too small knife, easy to knive, the rough is usually first Use the knife handle () to open the thick, and use the round nose knife as much as possible. Because the knife is large enough and powerful, when the front mold is processed, there is usually a problem. When the light knife is used, the parting surface is touched. The machine should be quasi-numbered, and the cavity should have a machining allowance of 0.2~0.5 (leave it out for sparks). 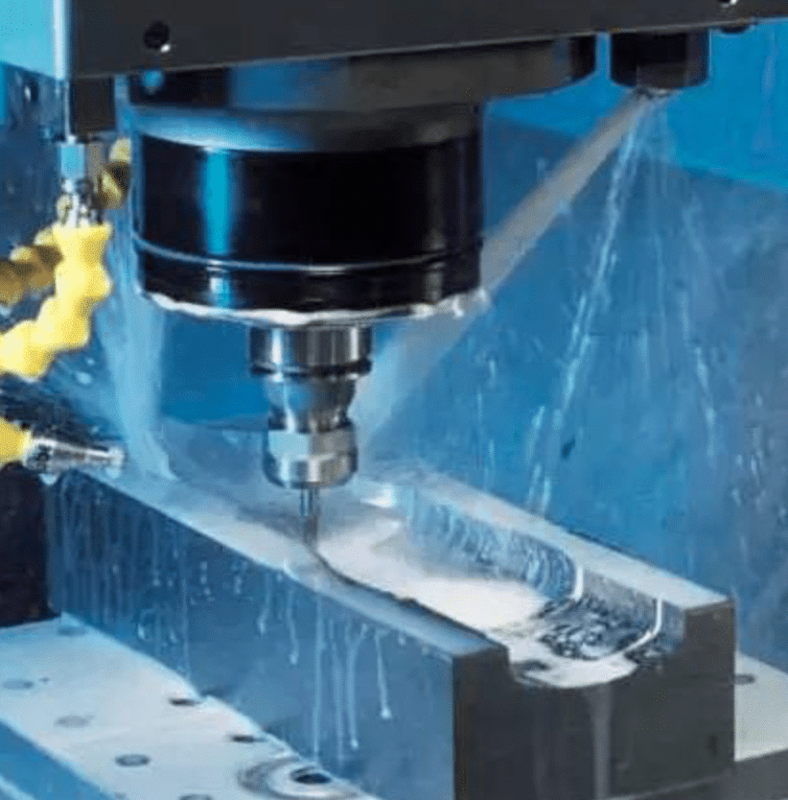 This is to adjust the surface of the mold cavity to the positive direction by 0.2 to 0.5, and set the machining allowance to 0 when writing the tool path. When the front mold is rough or light, the range of the cutter is usually limited. Remember that the range you set is the range of the tool center, not the range of the tool boundary, not the range to which the knife is machined, but the larger the tool radius. The common method of cutting the front mold is the curved groove and the parallel light knife. When the front mold is processed, the parting surface is generally processed to a quasi-number, and the bumping surface can be left with a surplus of 0.1 to prepare the mold. There are two kinds of back molds: original or inlaid. The rear mold is the same as the front mold. The material is hard. It should be processed with a knife. The common cutter is the surface of the curved groove. The parallel milling cutter is the principle of selecting the knife. Large knife open thick → small knife open thick → large knife light knife → small knife light knife. The back mode is usually a copper figure to reduce the material level plus the PL surface, the pillow position, and the original body left. If the material level is relatively uniform, you can leave the material level directly in the processing information, but PL (Parting surface), pillow position, the wearing surface can not be reduced. At this time, you can first correct these faces in a positive direction or draw the subjects. One problem that the original body often encounters is that the ball cutter is not clear enough. At this time, the sharp slanting surface of the curved surface can be used to process the clear angle. For example, the back mold is divided into the Tibetan box and the core, and the collection is in the library. When you pay attention, you should pay more attention to the empty knife. Otherwise, the frame will have a slope. The upper side is accurate, the lower side is small, and it is difficult to match the mold. Especially for the deeper frame, you must pay attention to this problem. The light frame knife must also be new. Ok, and choose a bigger knife. If the core is too high, you can turn it over to the processing frame, then assemble it into the frame, and then shape the shape, sometimes with a branch. Be careful not to protect the branch step when cutting the shape of the ball. In order to facilitate the matching mode, the frame size can be smaller than the core size -0.02/s. The tolerance and step size of the core light knife can be slightly larger, and the tolerance is 0.01~0.03 and the feed is 0.2~0.5. Sometimes the overall copper processing is difficult, there is no dead angle that can not be processed, or it is not easy to process. If the required tool is too long or too small, you can consider dividing one more copper, sometimes the local need clear angle copper, this kind of copper The processing of the public is not difficult, but it is necessary to find out the partial number of the good sparks and the benchmark. This kind of copper is easy to change when it is processed. It needs to use a new knife when machining. The knife should be small, and the feed can not be too large. The length a can be pre-processed during processing, but d should leave a large margin (such as 1.0). Mm) Going again and again, each time the depth is h=0.2~1, the depth of the feed is not too much, and it is not necessary to go around the knife in one week, but to divide it into two sides. Sometimes a set of molds will produce two parts. For the left and right parts, the graphics can be produced by mirroring. If two identical parts are out, the graphic must be flat or rotated in XY. It must not be mirrored. Be careful not to reverse the direction. The four guide holes of the mold blank are not completely symmetrical, and one of them is asymmetrical. Therefore, it is clear that the mold is processed before and after the mold. There is a reference on each of the stencils. In particular, be sure to pay attention to the mold that is formed by the original mold. When drawing the picture, pay attention to the direction. The direction of the copper and the front view (top view) are the same. The direction of the core, the frame of the Tibetan frame is the same as that of the copper, and the front is the opposite. Some decorative lines such as grooves or bosses on the surface are not easy to process because they are relatively narrow. For the groove, we generally avoid the slot, that is, mill the depth, and then make up a sink to make a sinking surface. The boss can only be separated into a single public, and the big copper is not made, so as to ensure the quality. A set of products usually has several and a dozen parts. The main matching dimensions of these parts are guaranteed by computer boring. It is very important to choose reasonable tolerances, especially some product design drawings do not consider the coordination problem. The bottom, the matching of the shell, the shape is undoubtedly 0 to 0, the positioning is guaranteed by the branch, the tolerance of the concave and convex mouth is generally 0.1MM, one side. The accessories on the big body are transparent mirrors. The shape of the general accessories is smaller than the size of the big body. The single side is 0.1~0.2. The movable parts of the big body, such as the buttons, the shape of the accessories is 0.1~0.5 smaller than the shape of the big body. The shape of the surface of the large body is generally the same as the shape of the surface of the large body, and can be lowered from the surface of the body. 朔 模 mold must make the mold slope, otherwise it will wipe the flowers, if the drawings are not marked, you can discuss with the mold master, the mold slope is generally 0.5 ~ 3 degrees, if the etched mold, the mold angle to be bigger 2~5 degrees, depending on the thickness of the etched pattern. Many times, when the boring tool is just milling, the amount of knives is relatively large, which is easy to cause broken knives and knives. At this time, the lower knives can be opened or the knives can be lifted off, or the knives can be smashed outside the material. To fully consider this issue. Grab a knife, a knives, and a knife. When the machining volume is relatively large, the tool holder is too long, and this often happens when the knife is too small. The processing volume is relatively large, especially when the concentration of the feed is large, it is easy to occur. For example, the side depth of the light is H=50mm and the diameter is 3/4, and we can divide it by 25mm for secondary processing, which is not easy to occur. The tool is clamped too long, and the length of the tool is very important for processing. It should be as short as possible. It is easy for beginners to ignore this problem. The length of the tool must be marked on the program paper. It is easy to grab the knife when cornering. The solution is to first clear the corner with a smaller knife and then change the side of the large knife. Like the semicircular groove with diameter 8 as shown in Fig. 8, if it is directly processed with R4, the position of the lower knife is very easy to grab the knife. The solution is to (1) use R3 to scan the cutting path (2) first open with R3, and finally Use the R4 knife to clear the angle knife. Different shapes of computer boring often require grinding of various knives. Various knives are worn and need to be ground. To achieve the following knives, a knives 1 can be ground. The four corners of the tool are the same height 2. Point A is higher than point D. The forward (knife face) of the tool is higher than the back, that is, there is a certain back angle. Overcutting is a problem that often occurs with masterCAM. Be careful. Overcutting may occur in multi-curved open, light knife, knife trim, shape, and groove. Even if the parameter settings and stereograms of the chest are correct, it may happen. Some are errors in the software itself. The most important method is The tool path is analogized once, in the top view, the side view is repeatedly checked, and the tool path without inspection is not allowed to be on the machine. When the shape is milled, the position of the lower knife is not selected properly, and it will be overcut. You can change the lower position and you can avoid it. Computers are generally down-cut, not like milling machines, because the rigidity of the computer is better, it is not easy to make the knife, the backlash is small, the milling shape or the inner groove is left compensation. When machining a bilaterally symmetrical shape, the shape cutter cannot be mirrored, otherwise the processing effect of the mirrored side is not good. 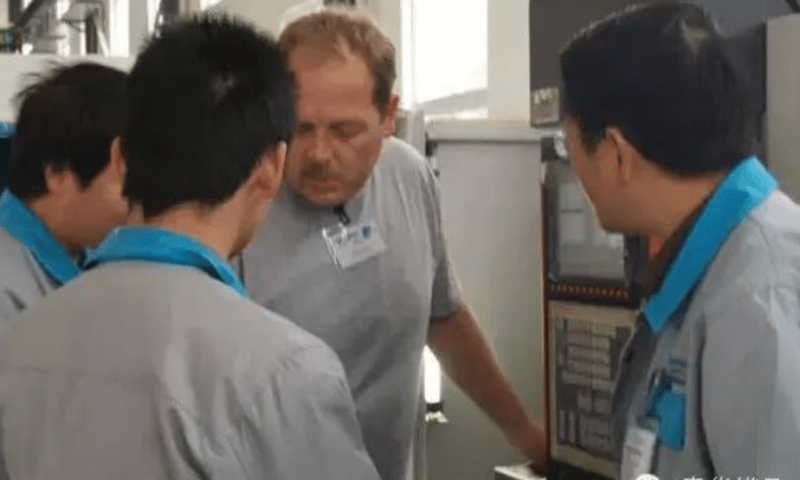 The program paper is written in order to communicate with the personnel who operate the machine tool. The program paper should include 1) program name 2 tool size and length 3 machining tool path method 4 machining allowance 5 rough or light knife 6 image file name 18. graphic management computer diagram should Properly split management, it is best to build a catalog of a product, a part from a different name, such as the copper map named A10, the back model can be A10C, the front model map is named A10CAV, the loose copper map is named A10S1 This makes it clearer. 19. Different software format conversion: Communication with AutoCAD, MastCAM7 or higher can directly read DWG files, lower than 7 versions can be converted to DXF format in autocad. Other CAM software such as (cimtron, pro/e, UG) can be converted to IGS format first. After the program is completed, after inspection, there is no problem, you can copy it to the DNC computer for actual processing. There are two methods for copying the program. Then start the DNC software, find the program to run, press ENTER. 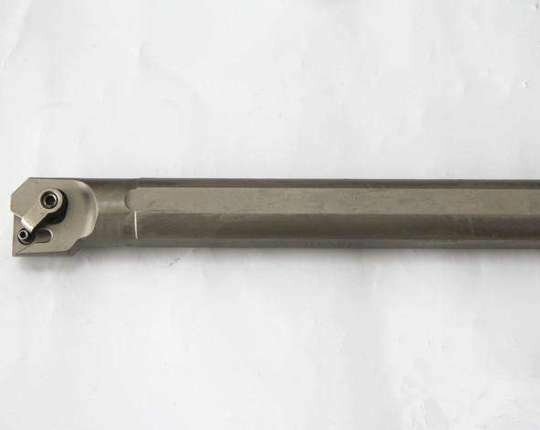 There are three types, the mechanical coordinate system, the machining coordinate system, and the temporary coordinate system. The mechanical coordinate system, the mechanical zero point is a reference point on the machine. After each power-on, the original point is determined after zeroing. The position of the mechanical zero point is determined by the machine factory, and should not be changed. The machining coordinate system is used for machining the workpiece. It is the sub-coordinate system of the mechanical coordinate system. Take a point in the mechanical coordinate system (generally the workpiece center point) as the coordinate origin, and record the mechanical coordinate value of this point as the machining. The origin of the coordinate series, you can set the machining coordinate system. Temporary coordinate system: At any time, each point is cleared to the coordinate origin. Corresponding to the coordinate value also has three coordinate values: mechanical coordinate value, machining coordinate value, temporary coordinate value (also called relative coordinate value) 22. Commonly used filter value: common filter value 0.001 ~ 0.02, filter radius R = 0.1 ~ 0.5. The rough knife path takes a large value, the light surface knife path takes a small value, the surface radius is smaller, and the large value is larger. Filtration can effectively reduce the program capacity, and the cutter is smoother, but too large affects the machining accuracy.